Stevie Nicks will release expanded reissues of her first two solo albums, 1981’s “Bella Donna” and 1983’s “The Wild Heart”, on November 4. The 3-disc Deluxe Edition of “Bella Donna” will feature the original album alongside a disc of previously unreleased alternate takes and demo versions of songs from the era, and a collection of live performances from 1981 that combines solo tracks with Fleetwood Mac classics. Led by the US Top 5 single “Stand Back”, 1983’s “The Wild Heart” reached No. 5 on the Billboard 200 and sold 2 million copies. The expanded 2016 Deluxe Edition of the project adds a second disc of unreleased versions and demos. 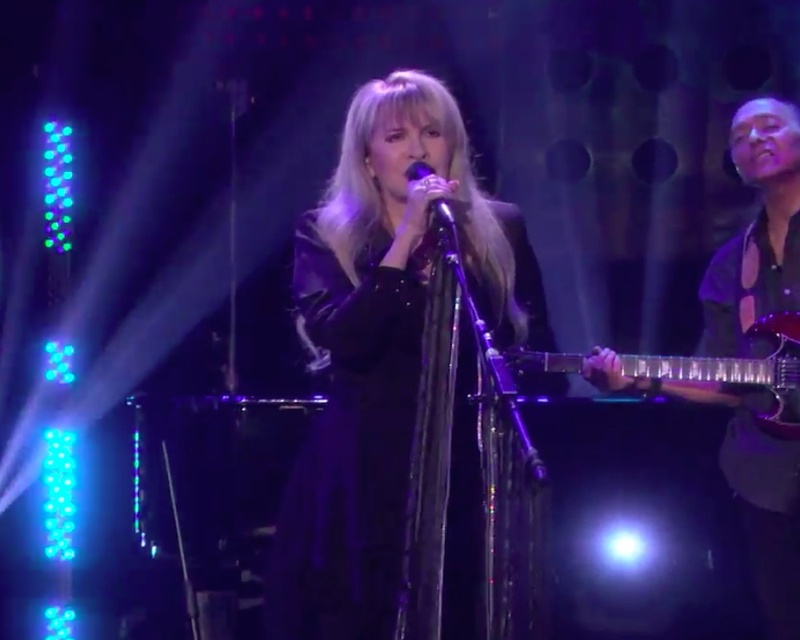 "I've had so much fun reliving the making of Bella Donna and The Wild Heart while working on the liner notes and listening to all of the alternate versions and demo takes,” says Nicks. “The liner notes are so much more than liner notes. They are like a little novel. I tried to make whoever reads this feel like they were there. I think...I succeeded..."
Nicks recently promoted both projects by performing “Edge Of Seventeen” on The Ellen DeGeneres Show and “Leather And Lace” on The Late Late Show with James Corden. A full list of bonus material for both packages can be found below the videos. The Fleetwood Mac singer will launch a North American tour with The Pretenders in Phoenix, AZ on October 25. 10. "Blue Lamp – From Heavy Metal Soundtrack (1981)"
11. "Sleeping Angel – From Fast Times At Ridgemont High Soundtrack (1982)"
03. "I Need To Know"
07. "After the Glitter Fades"
09. "Stop Draggin' My Heart Around"
12. "How Still My Love"